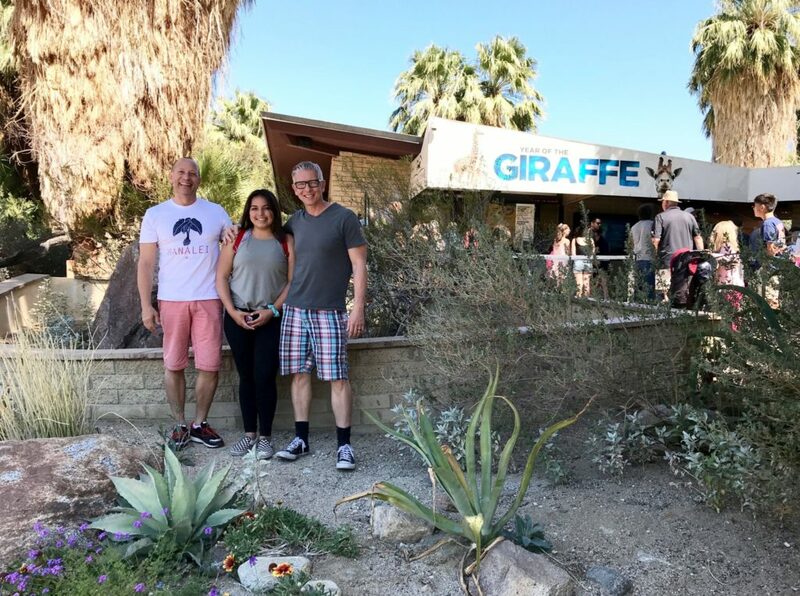 *Our visit to The Living Desert was graciously hosted by them as part of a great tour organized by Visit Palm Springs, and we are grateful for the experience. When people think of the desert, they typically envision endless sand dunes, scrubby little plants, some cactus, a bunch of rocks and maybe a lizard or two. But a zoo in the desert? Yep, and it’s awesome – The Living Desert is a zoo like no other. 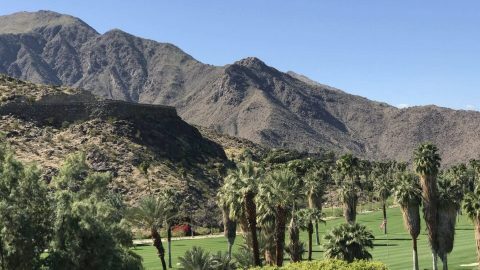 Located in Palm Desert near Palm Springs, The Living Desert is an amazing destination right in the middle of the blazing sun and dry, dry, dry conditions. We’ve been visiting The Living Desert since the girls were babies, and as they have grown so has the park. The Living Desert serves up an oasis of sorts, a respite where animals that are accustomed to dry conditions can feel right at home. What started in 1970 as a nature trail and preserve has grown and evolved into a legit zoo that is fun and interesting for the whole family. We visited recently and thoroughly enjoyed our experience. Across some 1,800 acres of parched land, The Living Desert thrives by showcasing the flora and fauna natural to this climate. The Living Desert’s gardens are vast and lush with plants indigenous to the area, including cacti like Cholla, Agave and Barrel Cactus. We were lucky enough to visit in the Spring, during the short window when everything is in bloom. Cactus, wildflowers and other kinds of flowering plants were all just beginning to peak, so the area was rich in color and variety. With all these flowers in bloom, there were tons of birds and bees jetting about and adding energy to the mix. We even spied a Road Runner (the real kind, not the character from the old cartoons with Wile E. Coyote). 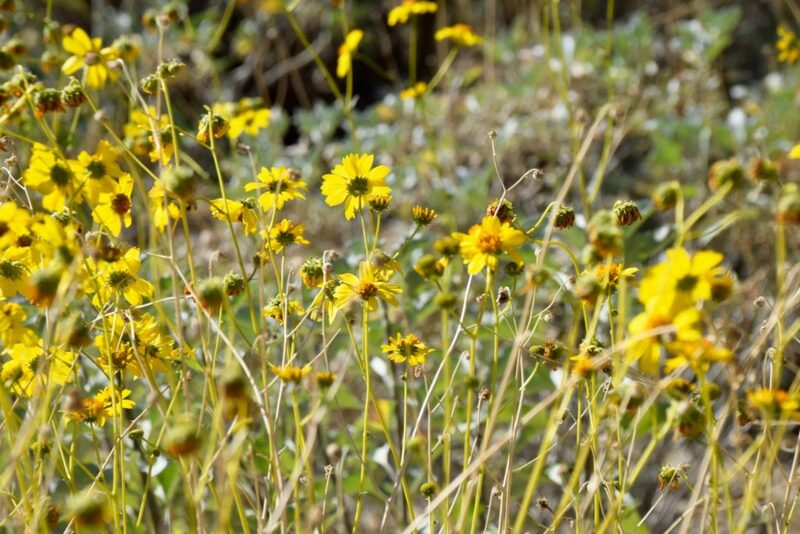 Gardens at The Living Desert are artful displays of local plants that can withstand the intense sun and heat. 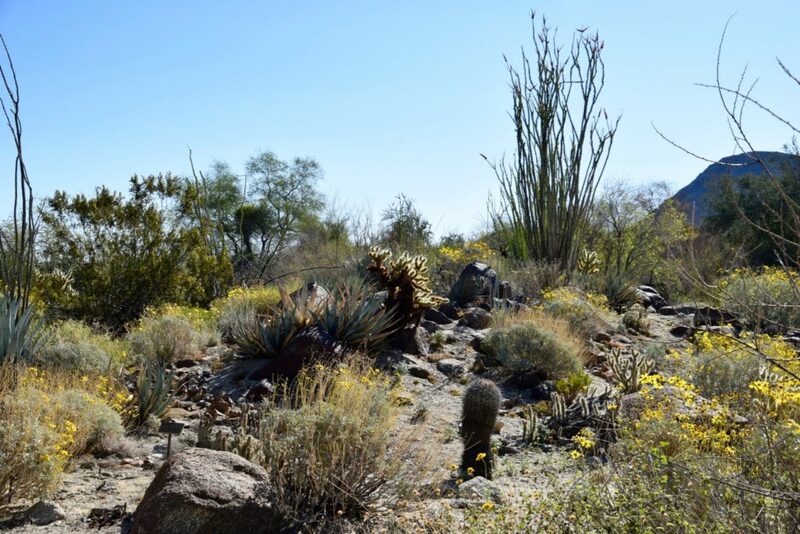 The Living Desert has several zones planted specifically to nurture species native from the immediate area as well as North American frontiers. The kids loved the vivid colors of the California Fuschia, Desert Mallow and Indigo Bush along with many others blooming bright pink, yellow, deep blue, red and more. Those desert critters are a resourceful bunch. 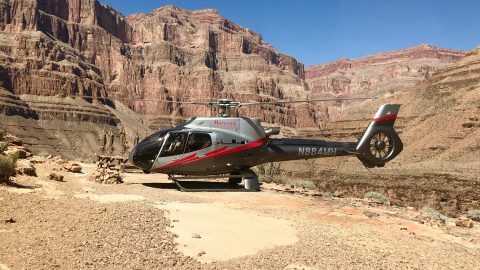 In order to withstand the intense heat and drought conditions of desert living, they learned to avoid heat and retain water. It’s amazing to see how they reserve energy, keep themselves cool when it’s more than 100 degrees outside, and still thrive. 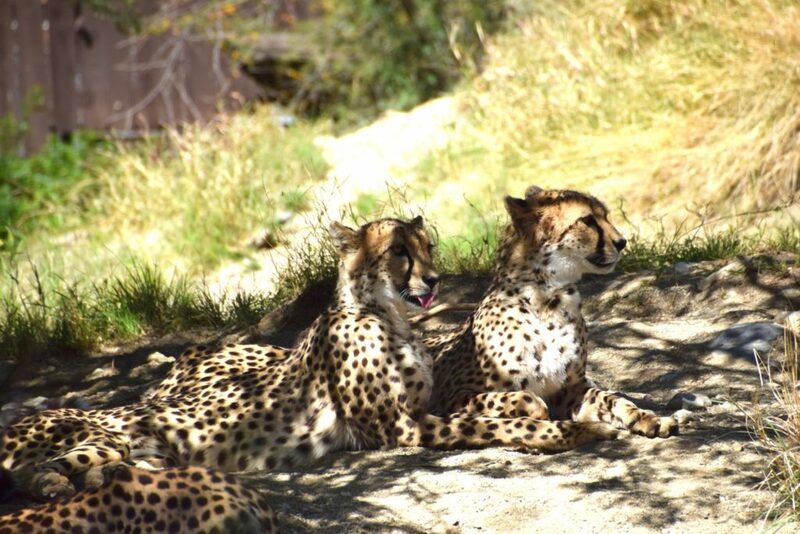 One of the things we loved witnessing while at the Living Desert was the Cheetah Run. Three cheetahs, sisters who have been inseparable since birth, are housed in a spacious enclosure planted with grasses and heavily shaded with trees. The three cheetah sisters at The Living Desert conserve their energy while relaxing in the cool shade. Once a day, their keepers encourage them to get exercise by running from one side of the very long enclosure to the other. And boy can these girls run – it was breathtaking to see how fast they are, and how cool they stay despite the hot sun. When their run was finished, they went back to relaxing in the grass just as comfortable as before. In several places throughout the park, guests can participate in feeding the animals. In the colorful lorakeet exhibit, guests are invited to entire the aviary carrying a small cup of nectar. Lorakeets are so attracted to this nectar that they fly right over to the guests and land on their heads, shoulders, arms and hands – trying to get a delicious sip. If you like birds, this is an incredible experience. If you don’t like birds, this is your worst nightmare. Good thing we like birds! 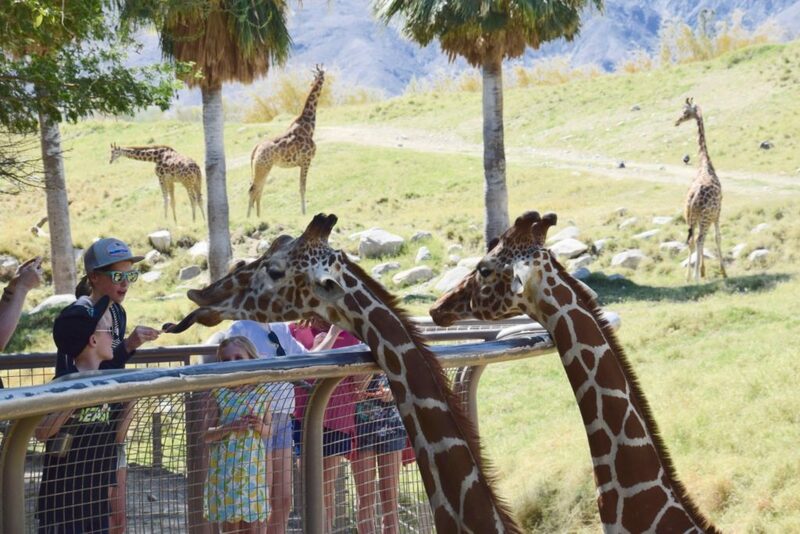 Giraffe feeding time at The Living Desert is fun for the whole family. Over at the giraffe area, the Living Desert has built a special viewing platform so guests can be eye-level with this stately creatures. At certain times, guests can feed the giraffes a special cracker they seem to love very much. The kids had a blast watching the giraffes’ long black tongues reach out of their mouths and grab the cracker like a hand. Evidently, their 20-inch tongues are prehensile just like a monkey’s tail – they can move them far more independently than we humans. We were all fascinated and could have watched for hours! 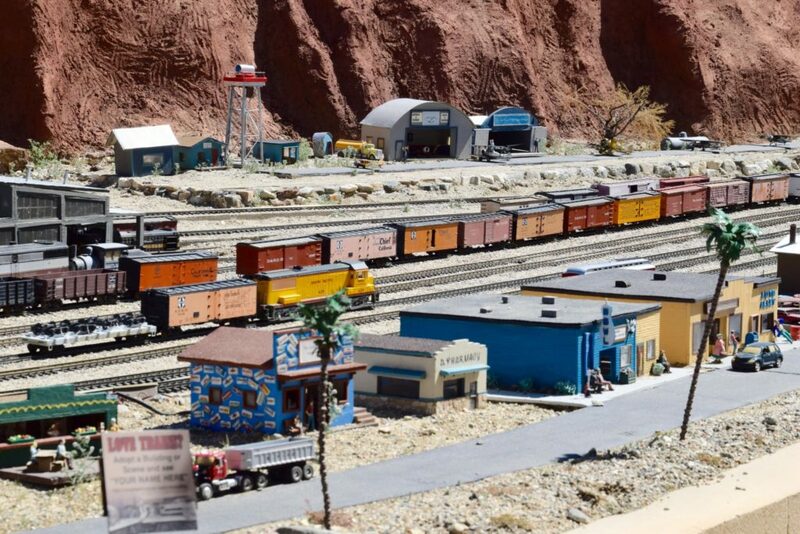 The model train exhibit at The Living Desert is massive and fascinating, with more than 3,300 feet of tracks. Not really a desert-specific exhibit and certainly not an animal, the working model train sets on display in the center of The Living Desert are nothing short of fantastic. Their sets are miniature versions of towns, lumber yards, stations and even a scaled version of Mount Rushmore. With more then 3,300 feet of track laid, they criss-cross and wind around each other in constant motion. Kids and adults alike are fascinated at the intricacies of this display. For all of these reasons and many more, The Living Desert is a zoo like no other. There is plenty of parking, and lots of shade but it’s always a good idea to bring a hat and sunscreen. The park is open every day October 1 to May 31 from 9:00am to 5:00pm, and in the summer months every day June 1 to September 30 from 8:00am to 1:30pm. Entrance fees are $19.95 for adults, $9.95 for kids 3-12, and kids under 3 are free.